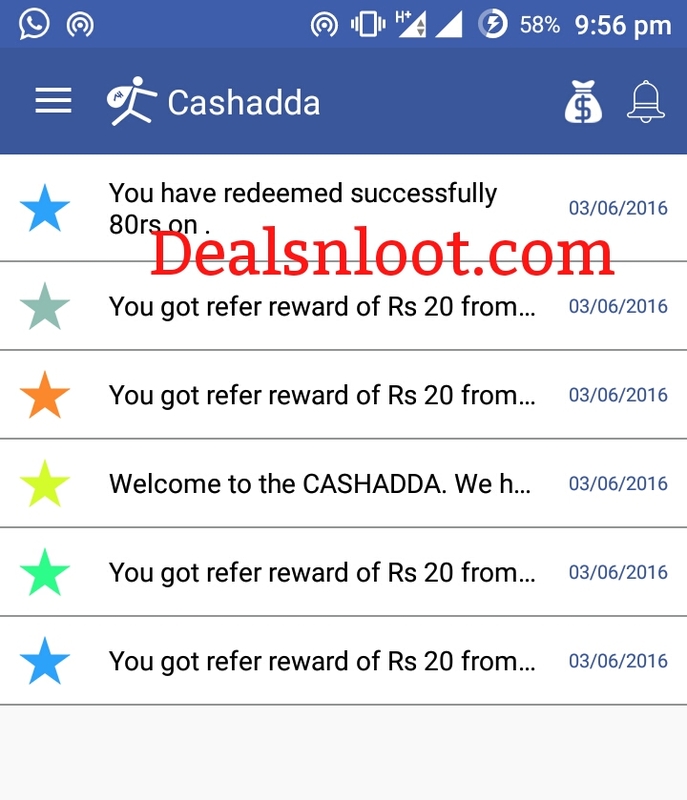 Hello Dealsnloot Readers, We Are Again Back With An App Names Cashadda Which Is Giving The Recharge Instant You Can Earn Up To Rs 65 Per Refer. Which Is Really An Interesting Thing. This Type Of app Don't Comes Every Day Just Loot It Now. Ultimate Destination to earn money while sitting at home. 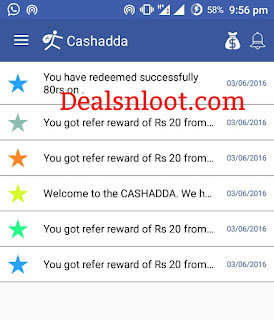 Cashadda give you opportunity to complete some simple task and earn points which can be redeemed by doing simple mobile recharge or bill payments. You can double or triple your points by just referring the app to your friends.So Hurry !!! 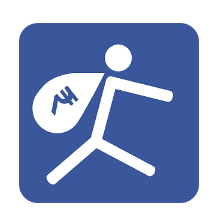 Grab This Loot App And Earn Unlimited Free Recharge Loot Trick. Update :- In New Update Start Paytm Wallet Transfer.You can also transfer one Cashadda wallet money to another. Goto Recharge & select Airtime to transfer money. 2. Once you download, enter your number & wait for auto verification. 3. After successfully verification, fill profile. Note : If you getting error in saving details in profile, Save once And Press "Back button" & Again open app. 4. After successful verification, you will be redirected to App Dashboard. Tip : Download MyVodafone & Idea App Or Survey Offer for quick credit. 5. Now start referring your friends and download apps via Cashadda app to earn unlimited recharge. You will Earn Rs 25 When Your Direct Reference Users Reach Multiple Of 100. Now you can transfer your earnings in Paytm Wallet, for that you need to earn minimum Rs.100 in CashAdda Wallet. * Once you earn Rs.100, goto Home page Apps section and select " Redeem wallet money in Paytm ". * Finally click on Download & enter your Paytm number, cashadda email and number. * Paytm cash will be credited in your Paytm wallet within 24 hrs of form submission. 5.Boom U Got Refer Rs 20.